AMCFG has some of the most attractive offerings for those real estate investors looking to obtain long-term financing for the purchase or refinance of rental properties. 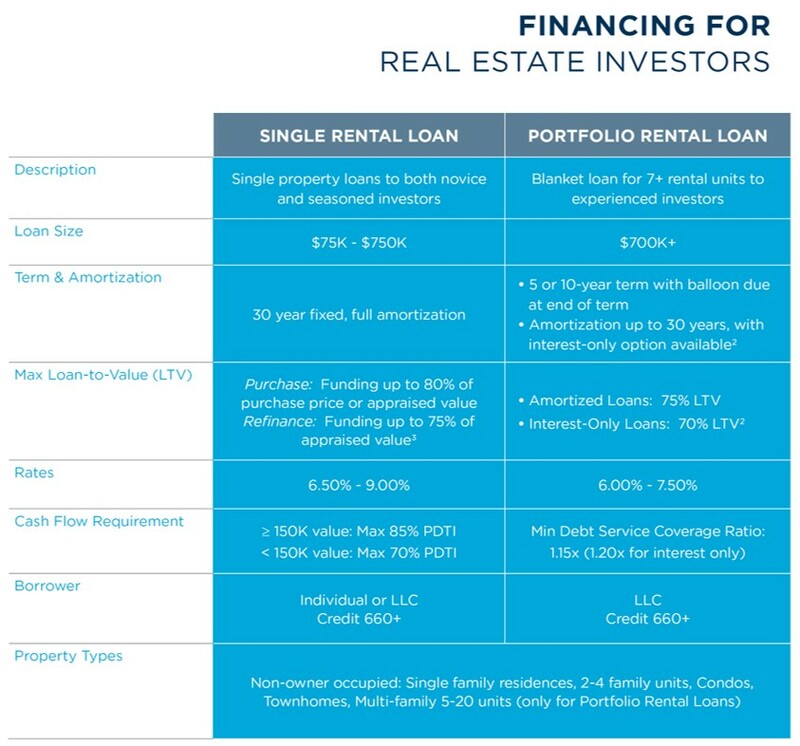 These loans are specifically designed for real estate investors. We offer two long-term financing programs: Single Rental Loan and Portfolio Rental Loan. *Product not offered in all states. Loans are subject to investor and business credit approval, appraisal, and geographic location of property and other underwriting criteria. Loan amounts and rates may vary depending upon loan type, LTV, verification of application information, and other risk-based factors. **Any multi-family property 30 years or older cannot exceed a 25-year amortization. These properties do not qualify for interest-only loans. ***Refinance loans on properties owned less than 90 days are capped at 80% loan-to-cost.